It's beginning to look a lot like Christmas........well, at least in my craft room it is! I haven't started decorating or anything crazy like that yet but do need to get a few cards done so they'll be ready to mail in December. I've made several during the year and now it's time to kick it up and notch and "git 'r done". First of all......see that embossing folder!!! 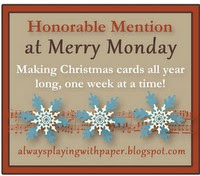 Sweet, sweet Mary over at Carolina Cards By Mary H. sent me several of these after I commented on her lovely blog. I've searched far and wide and can't find the folder (discontinued) but do love the look of the dots since it reminds me of snow. 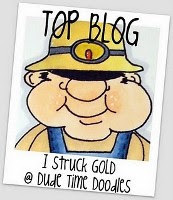 Check out Mary's blog when you get a chance - and thank you again so very much! 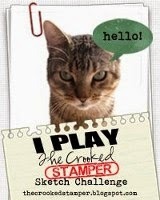 The stamp I used is a recent purchase and made by Stampabilities. Perfect for the upcoming holidays. I stamped it with Copics and then framed it out in gold. 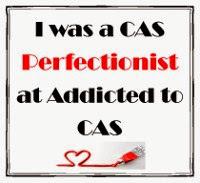 Very CAS look even though it has the layers. Now, the best part.......I also recently purchased a Wink of Stella pen. OMGoodness!!!! That thing is just sensational!! I got it in the clear - but am really thinking I need one in gold and what ever other colors they have!!! I used it on the berries on the wreath and also the red part of the bow. It really shines - but sadly you can't see it in the photo. Maybe I just need to send a card like this to all of y'all so you can see the shine!!! I'll enter this in the challenge at Simon Says Stamps (anything goes), Addicted to Stamps and More (Clean and Simple), and Inky Impressions (Traditional Christmas). 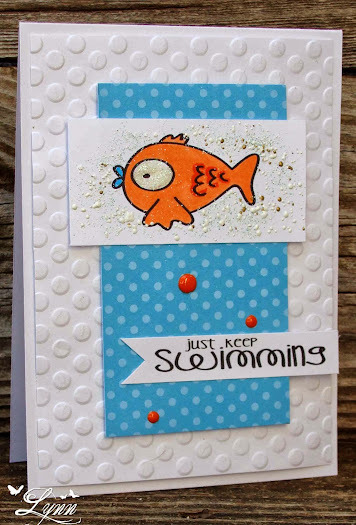 Just rocking along here to share a card using some of the stamps from The Alley Way Stamps. 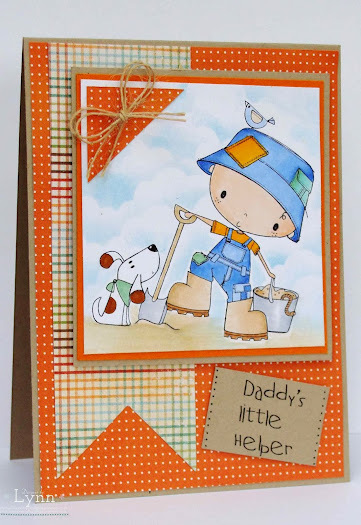 Ever so often I need a masculine card for a young man that's not quiet an adult and yet not a child either. Thought this one would fit the bill. I snapped this pic inside with not very good lightening - but used some Cherry Cobbler card stock from SU and several different snippets for the arrow looking things (surely they have a better name than that)! I added some enamel dots that I made with Enamel Accents. I do like the Paper Pen better than the Enamel Accents for this but these worked pretty good just the same. Topped it off with a small piece of twine. 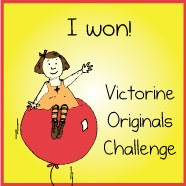 I'll enter this the challenge at Pixie's Snippets Playground. I'm STILL not sure where I thought I was going with this card! No earthly idea! It doesn't even shimmer or shine or anything and so totally "not me"! When this stamp set from SU (French Foliage) first came out I saw so many pretty cards with it and figured I HAD to have it! Um.....it's never been used until now! 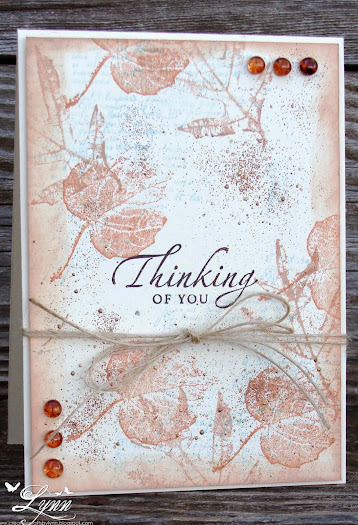 I sponged a bit, stamped some orange-y and blue type colors, added the sentiment and Spice Frantage...... and then because it was looking so plain decided to add the dew drops and twine! There again - it sure didn't look like what I thought it was going to look. Does anyone else have flubs like this or is it just me??? PLEASE tell me it's not just me! LOL! Anyway, that's it for today - and it's back to the drawing board now. Jim is always giving me some kind of song and dance about when he was younger and being so poor he had to walk to school five miles - barefoot, etc......One of his best ones though is having to get water for his younger sister so she could take a bath since they had no indoor plumbing. He started out telling me that he had to go to the creek and haul water back up to the house for her bath. I mentioned that I really could not see anyone getting water hauled from the creek - I mean, why not just go to the creek and take a bath there! Makes sense to me anyway......Well, as time has gone on he's changed it to how he used to draw water and heat it up, etc......I personally think he's full of it! 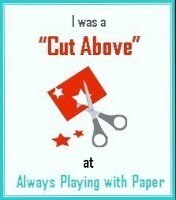 Next time he mentions all this though I plan on giving him this card!!! LOL! The is an image from SU and it's colored with Intense water color pencils. 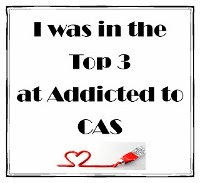 The sentiment is also SU and the squiggly thing under it is from CTMH. The panel is embossed with the Square Lattice Folder from SU. 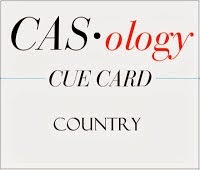 Since the cue word is "Country" over at CAS-ology, I'll enter it in their challenge. 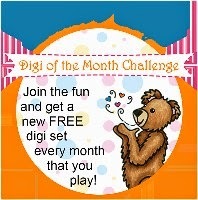 Digi Haven has another challenge beginning today and we'd love for you to join us! 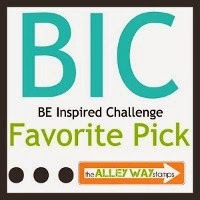 The theme is Black and Orange (predominately)- check out the blog for all the details on this challenge. Black and orange are definitely Halloween colors but of course it doesn't necessarily have to be a card for Halloween. Use your imagination and play along. We're being sponsored by Broken Box Stock who provided us with the images and you'll find so many more cute images at their store. 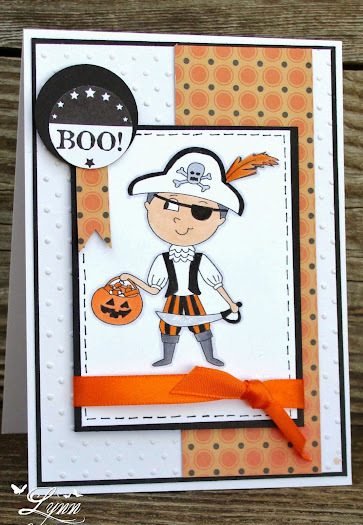 This one is a little trick or treat pirate....and yes, he's all decked out in orange and black. I'm not sure where I found the sentiment but it just seemed to go with the image. 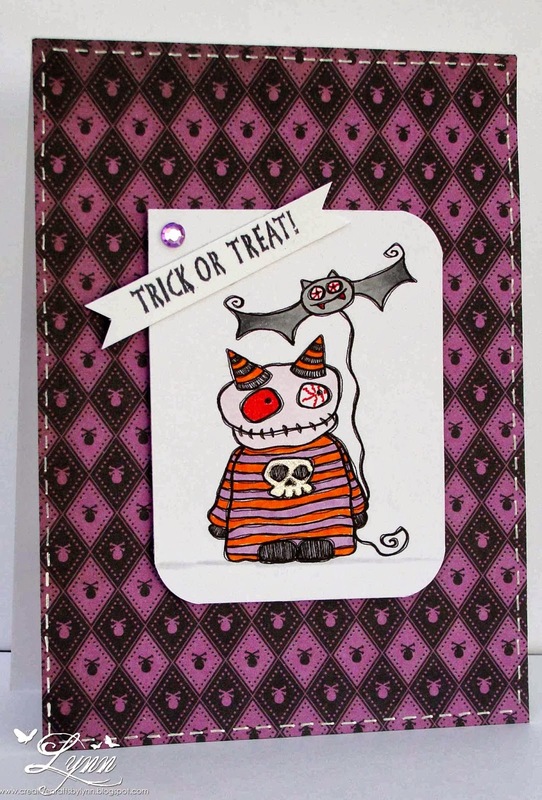 I'll enter this in the challenges at Cards for Men (Halloween), Eureka Stamps (Halloween colors) and Kaboodle Doodles (Halloween colors). 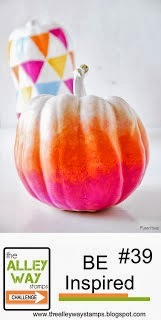 Thought I'd throw a cute little pink and orange non-Halloween monster out here for everyone today! 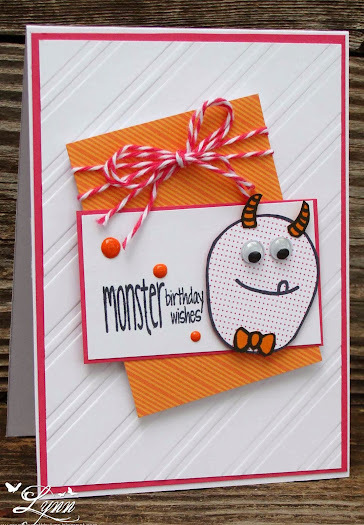 I stamped this little guy over pink polka dot patterned paper and then added his horns and bow tie in orange. 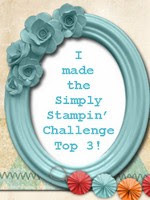 The stamp and sentiment are from The Alley Way Stamps and I'll enter it in their inspiration challenge. The design is from Retro Sketches and I'll also enter this in their challenge. 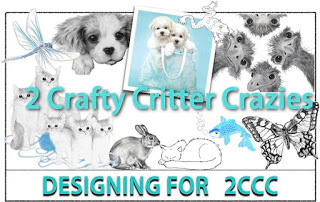 And, last but certainly not least, since I used snippets for the horns, bow tie, twine, and orange paper I'll also enter him in the challenge over at Pixie's Snippets Playground. That's it for today and will see everyone on Thursday evening! 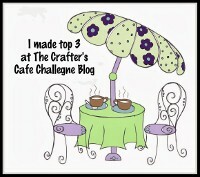 We have a challenge going on right now at the All Dressed Up Challenge blog and would love for you to play along. 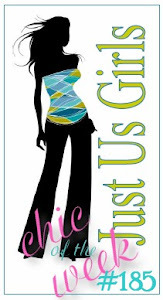 Be sure and check out all the rules on the blog. Wendy Burns is the artist for All Dressed Up and you can find her shop HERE. CUTE images and know you'll fall in love with them. 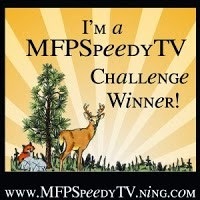 There are several free images on the challenge blog that you can grab too! First of all, let me tell 'ya.....this is not Rambo! Number one - he wouldn't be caught dead in all the pink (or rather Jim wouldn't allow him to wear pink - except in October of course)!!! Number two - he doesn't sleep standing up - he sleeps on his back with all four legs straight up in the air! Really a sight to behold! 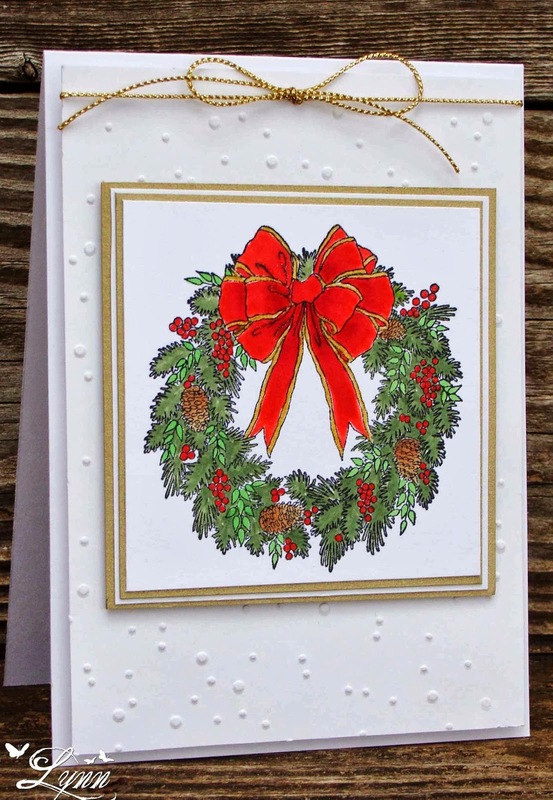 A very simply card but with a darling image from the All Dressed Up shop. Pretty self explanatory - lots of pink and a little embossing - but think it will make a cute "just because" card for one of the granddaughters. I probably need to make another one in more manly type colors to give to Jim now! 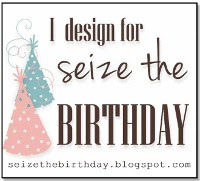 Every time I think of that sentiment I just want to slap it on another card!!!! So, I did! That cute image is from Just Inklined and she's colored with Copics. 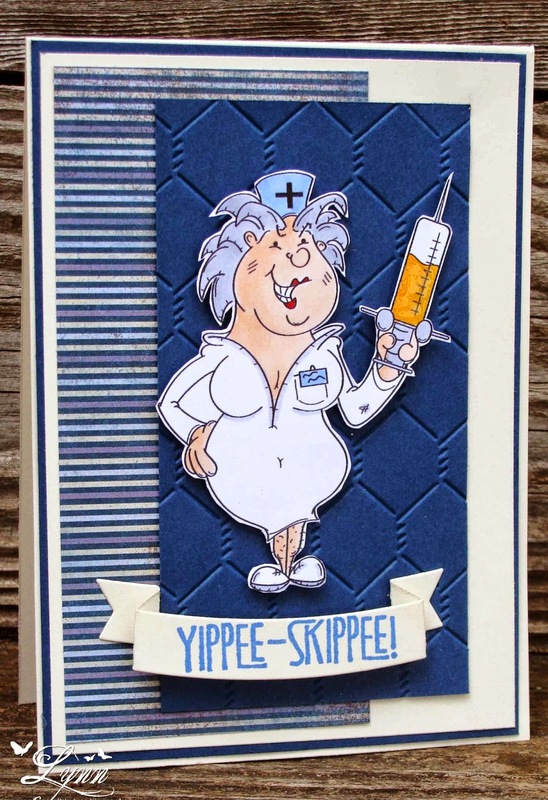 You just gotta love coloring a nurses uniform - All WHITE! YES! I don't think nurses wear white that much any more, if at all.....but she has one anyway. I used some Very Vanilla and Midnight Muse - and unknown DP. 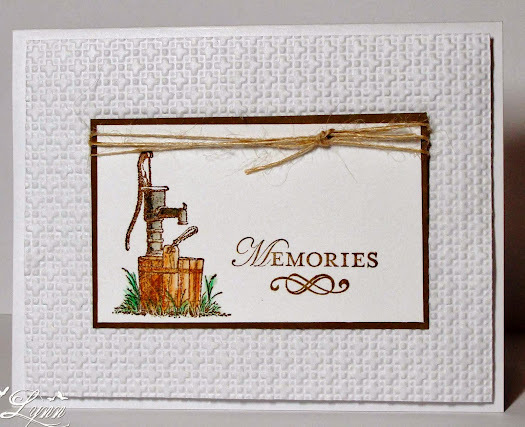 The sentiment was mounted on a Simon Says Stamp die - one of those that kinda pops off the page. Fun card to send someone in the hospital. I actually made this for a guy (hence the male type colors) but while I was still trying to get it all put together, he was released! At least I'll have one on hand for next time. Thanks for stopping by......and have a great weekend! I'll see everyone again on Sunday! If you're looking for some kind of fantastic straight stitching - you're NOT going to find it here! After attempting to stitch on that curved line about 3 times, I finally just gave up and decided what you see if what you get! What else can I say! I used markers to color the stamp and then huffed and puffed and all that kind of good stuff. I also punched out a couple of flowers and popped those on top of several and added some pearls. 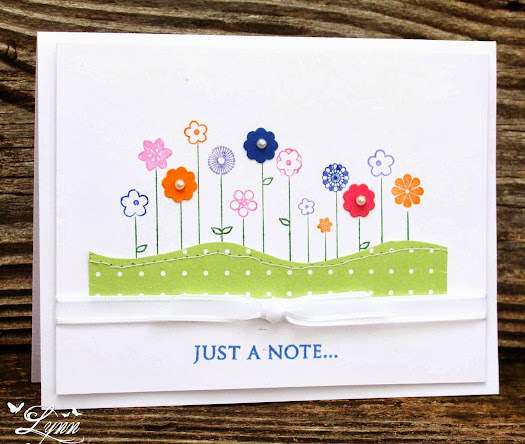 Just a quick way to send a note to someone. 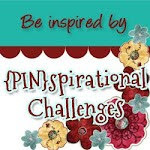 I'll enter this in the challenge at Pixie's Snippets Playground (little flower snippets) and also CAS-ual Fridays (stitching). It's been a l-o-n-g time since I dragged out my alphabet stamps - but that's what I did when I first started creating this card! I always forget about having them - and usually there's one of two letters missing from the set! Ah.....what can I say! They just have a way of vanishing! I'm SURE it couldn't have anything to do with me! I started off with a piece of white textured card stock and layered it on black. The heart is from SU and was punched out. The "i" is from a very old alphabet stamp set (CTMH) and the "you" from part of a sentiment (SSS Kit of the Month). I added some glossy accents to that one little solid red heart but you really can't see that in the photo. 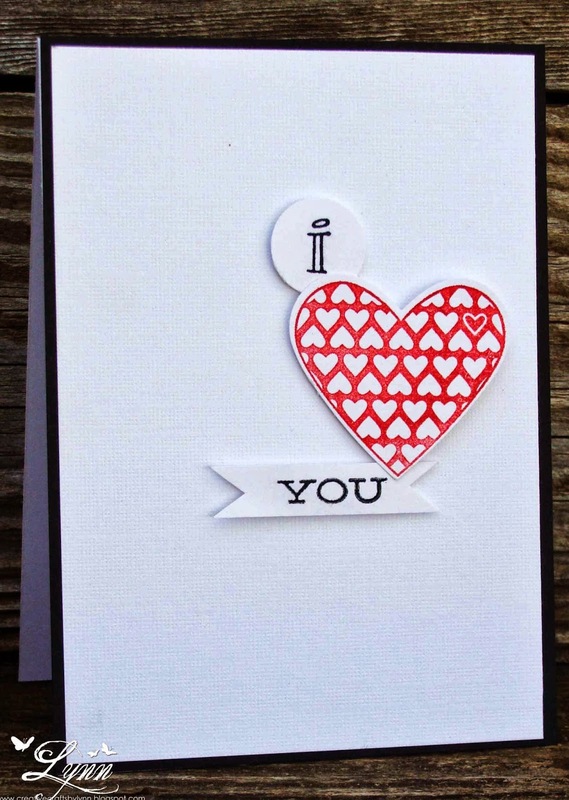 Anyway, a quick "I love you" card! 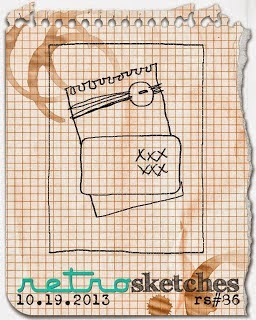 I used the sketch from CASE this Sketch and will enter it in their challenge. I'm back once again and celebrating Halloween with this cute image from Dilly Beans! 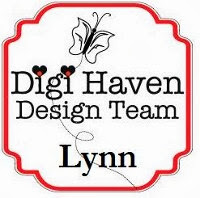 It's time for our challenge at Digi Haven and we'd love to have you come and join us. Our challenge theme this go round is....yep..........Halloween!!!!! It's going to be here before we know it. We're sponsored by Dilly Beans where you can find not only Halloween images - but so many other cute images too. 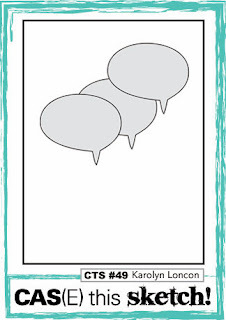 There's a prize up for grabs so be sure and play along with us! 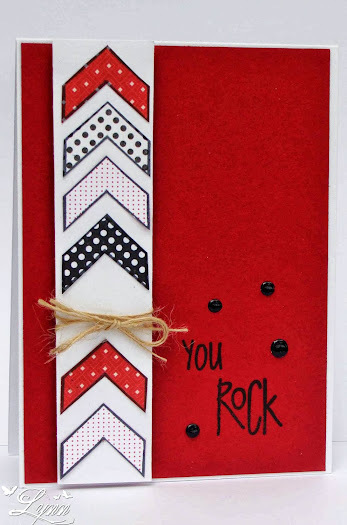 Very simple card that was created using some DP from DCWV and a sentiment from Chicken Girl Designs. 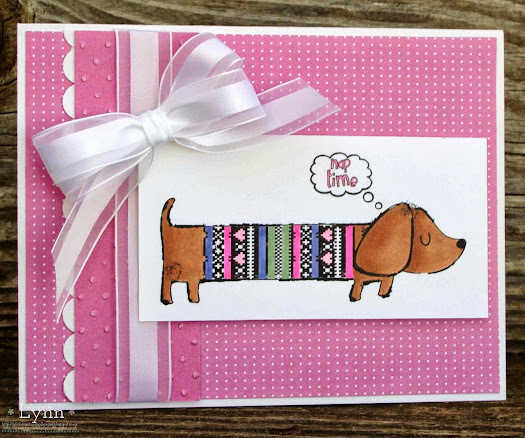 The faux stitching around the edges of the card sorta resemble this little guys mouth! 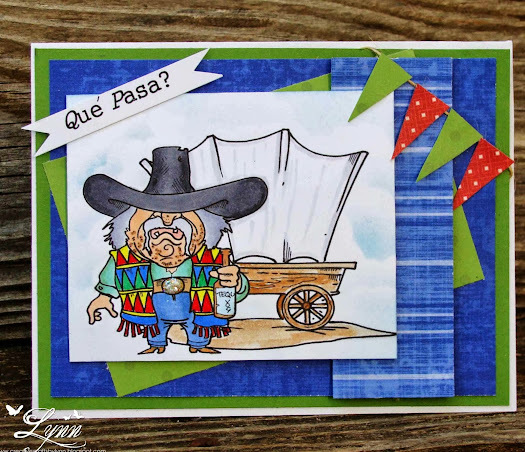 It was a fun card to create and know that one of the grandkids will get a kick out of it. Thanks for stopping by............and be sure and enter the Digi Haven (Halloween) challenge! 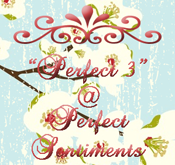 I'm trying to do a few different things - and this is definitely different for me! I've never made a tag in my life!!! Do I like it........um, I'll have to think a bit more on that. I used some Distress Inks in several different colors and smeared them on the tag. After misting some water on it, I then used a stencil and did that up in green with a dauber - sorta at an angle. After all was dry I stamped the sentiment and then misted with some Glimmer Mists. 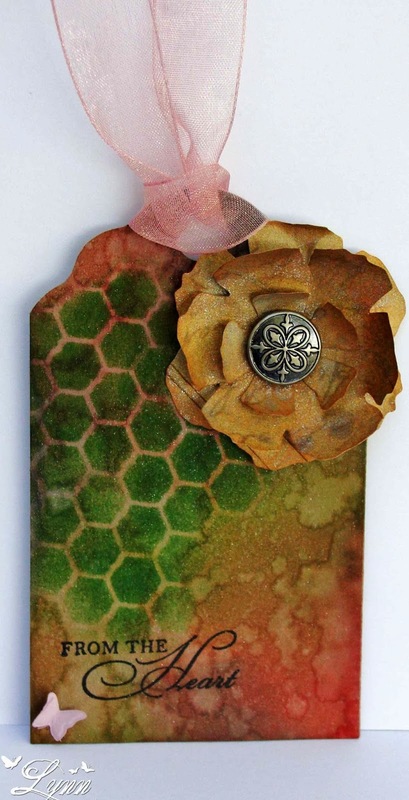 The flower was cut out using a Tim Holtz die on some patterned paper and then it was also distressed and sprayed with Glimmer Mist. The center brad is from SU. This sucker really shines but you can't see it in the photo. Lastly I added a tiny little butterfly to match the sheer ribbon. I kept wanting to stick it on a card - and everything I'd put it on just wasn't looking right........so, here's a tag all by it's little lonesome! Everyone else is doing cards for autumn or Christmas and here I come with a summery looking card!!! What does that tell you about the weather around here! A quick little card to maybe cheer up someone. The image and sentiment are freebies from The Alley Way Stamps where you can find more - and another one just recently added. Those little enamel orange dots were made by none other than ME! I'd been wanting to buy some but kept putting it off and then saw a video the other day (can't remember who had it) and they made their own dots using something called a Paper Pen. I ordered a couple of bottles - and yep, I can do those!! I like making my own since I can make whatever size I want. I used some Frantage around the fish and his eye was covered in something called Glitter Glaze (similar to Stickles). 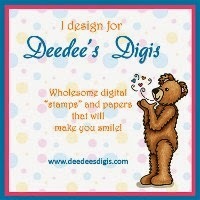 Lots of dots on here - but then I may be just a little "dotty" myself at times! 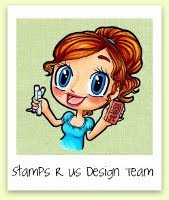 I'll enter this in the challenges at The Alley Ways Stamps (inspiration photo), and Simon Says Stamps (dotty). What's happening???????? In Spanish, if you want to ask someone what's happening, you say que pasa....or que paso. If you're from Texas this will automatically remind you of a song by the Texas Tornadoes called Hey Baby Que Paso. It's certainly not George Strait by any means, but fun to listen to just the same.....ESPECIALLY after a few beers or a bottle of tequila! 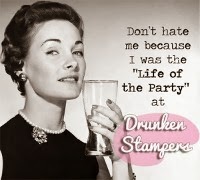 I don't "do" tequila, but have been known to sip the subs at times - and then I can really belt out that song! LOL! Look at all the layers on this card!!!!!! Yikes!!!! For me, this is a ton of them I know - but it was a fun card using that image from Stitchy Bear. He's really ready to party - or maybe he's already partied a bit too much! I layered it up with a bunch of scrap paper and colored him in Copics. 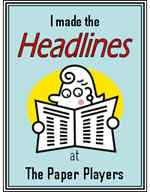 I even made a little banner out of snippets so I'll enter this in the challenge at Pixie's Crafty Workshop. Hope this card takes you into a fun weekend......but don't hit the tequila too hard! 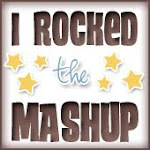 A brand new challenge blog called All Dressed Up starts today! Wendy Burns is the sensational artist who draws all the wonderful images and you can check out her Etsy shop HERE. I guarantee you'll fall completely in love with her unique style and precious images! 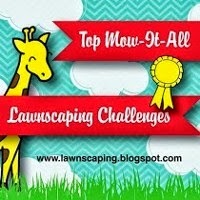 I was asked to be a Design Team member on this new challenge blog and just jumped at the chance since I love all her cute images. 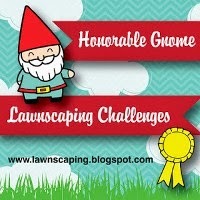 Be sure and head on over to our blog and enter the challenge! 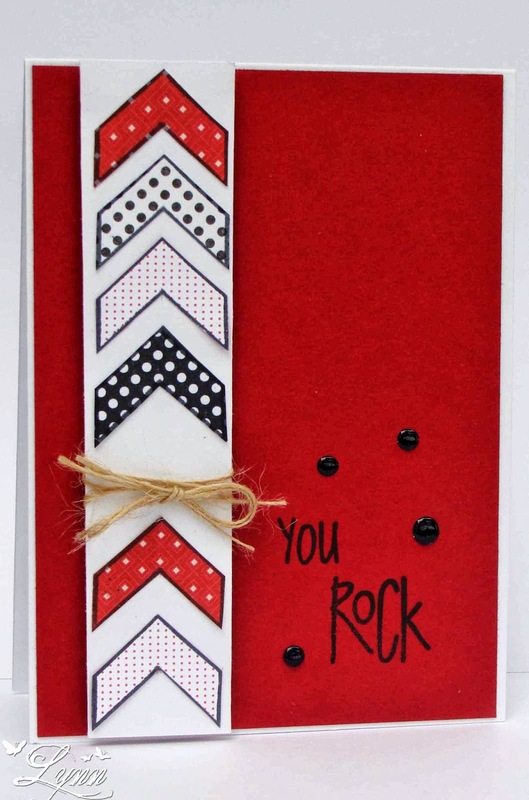 You'll be completely amazed at all the wonderful DT members and their awesome creations. 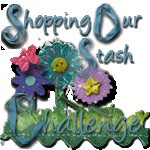 All the rules for the challenge are on the blog but you must use a All Dressed Up image (freebies available on the blog!!!!!). 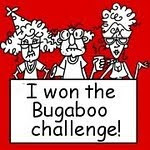 There's a prize up for grabs too! When I was told the name of this new challenge was called All Dressed Up and they wanted me to be on the design team, I really had to laugh. As Jim would tell you - since I retired, being all dressed up to me is changing from shorts or sweats into a pair of jeans! 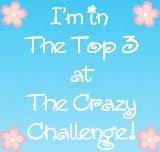 But, here I am with our first fun challenge of Anything Goes!!!!! Come on over and play along! 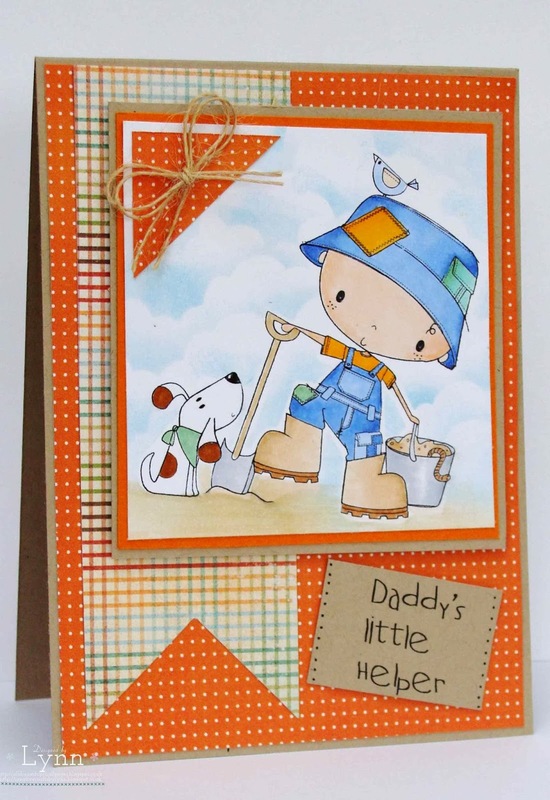 I used a new release image called Daddy's Little Helper by Wendy and it really reminds me of Jim and Rambo. Usually Jim is covering up the holes that Rambo has dug up in the yard but I'm sure he'd rather be digging for worms so we could go fishing. 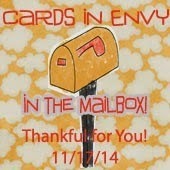 I used some autumn papers from My Minds Eye, Kraft, and Pumpkin Pie card stock. The image is colored with Copics and the sky was sponged in with Tumbled Glass distress ink. 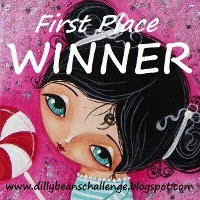 Thanks for stopping by............and head on over to the All Dressed Up challenge blog!! !